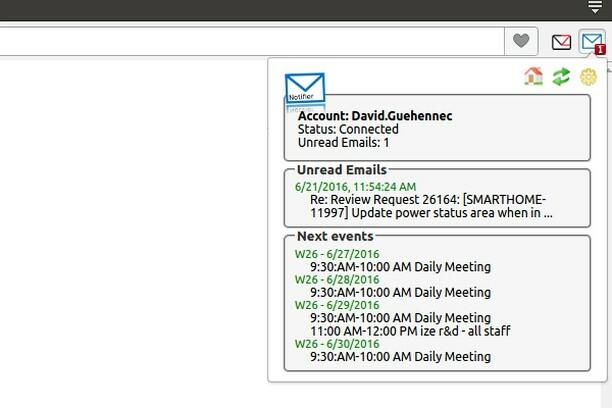 365 Mail Notifier checks your Office online webmail account and notifies the number of unread messages. You can view your next appointments (save in your Office online calendar) and be notified by the system. To be notify, you must be connected to Office online web site in a tab of Opera. the application is nice, but it's working only when I have a tab in Opera opened. Any ideas how to continuously check the e-mails on Office365 (with log in function)?